Well, this was a very simple, somewhat-entertaining story with no real resolution - hence the low rating. If there was a real ending, it'd have at least a 3 or maybe a 4, because it was fairly entertaining. This is one of those stories that has a super-simplistic storytelling style, with very little of anything about the characters, the scene, the background, the environment or expressions fleshed out or elaborated on. What it does have going for it, however, are really delightful interactions between the two main characters (neither of which are... more>> the Sweets Prince). Their characters are both a little quirky and the way they develop a very natural relationship with an acceptance of each others' strengths, weaknesses and quirks is quite nice to read. They really are what make the whole story worthwhile. Most of the other characters are completely two-dimensional (except, perhaps, for the MC's karate club president/senpai, who's vibrant and uncontrollable character is completely under-utilised). The Sweets Prince is merely a minor plot device, and too much time is spent on him when he's so uninteresting. It's a story where sometimes attention is given to small interactions and events that end up feeling a bit pointless considering that the story peters out somewhat. I don't usually spoil endings, but I think a warning is warranted here when I say that there really isn't a proper ending to this. At best, two super minor "arcs" or events are somewhat resolved, but then it just stops. You could imagine romance in the future if you wanted to, but the actual story doesn't give the MC any true romantic pay out. If you're looking for realistic characterization, this is not the novel for you. The characters are all 2D with super low EQ, including an entire club which exists solely to pull the readers' aggro. That being said, this is a fluffy, light hearted story. One of the chapters had me in stitches because of how brilliant its humor was. I look forward to each chapter. Hilarious, perfect for light-hearted read. The main character is an absolute softie and has a tendency to take care of everyone around her. 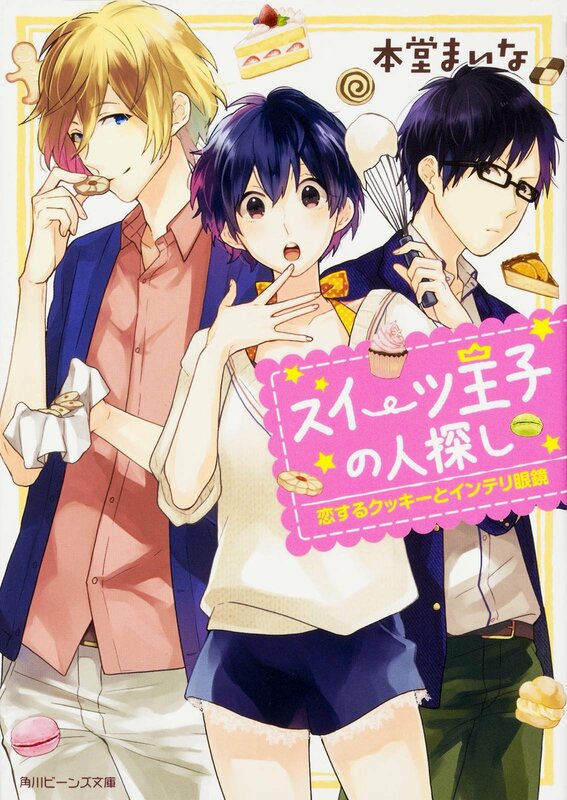 Most of the chapters involves descriptions of the sweets the main character baked for the male lead along with their banter- both I thoroughly enjoyed. There's not much of a search. Most of the story is basically about baking and eating. In fact, Michel doesn't even feel like the ML - he only makes appearances once in a while. The romance in this seems like a secondary focus too. With that said though, this is still a funny, light-hearted enjoyable story to read. Plus the translation quality is well done. Light hearted and lovely, I really like these kind of novels, I only have one complaint though, it's kind of hard to read, I don't know if it's the translator or the author but it's a bit messy, also very few characters are introduced which makes it harder to understand, it's especially hard to understand when they are in the karate room, only 3 of the members have been introduced, the others are extra, but they talk, we don't know their name and the conversations are kind of a mess,... more>> also some scenes start like out of nowhere, I mean that's normal in anime I guess but it feels too abrupt here.